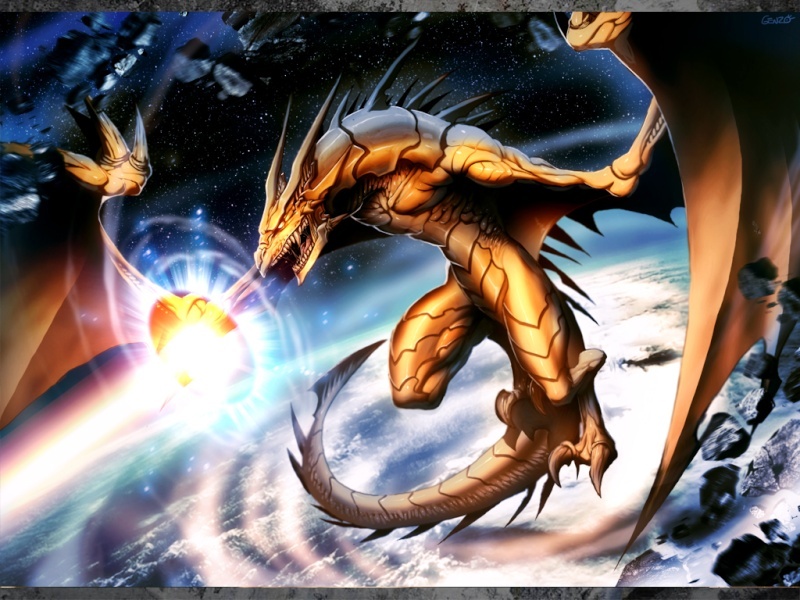 Dragon Form: He stands at a whopping 70 meters and weighs several hundred metric tons. Personality: Tiankong is like the wind, when he is calm, he is mild and temperate like a gentle breeze. When angered he is wild and merciless like a hurricane. He isn't prone to anger like most but isn't easily calmed when he is. He is usually calm and in control, he will listen to the opinions of others. He is wise and will give out advice, but may speak in cryptic talk or riddles. Description: Tiankong can manipulate the winds, he can create hurricanes and tornadoes, he can calm the winds and increase heat or create cold. Basically weather control by forcing the winds. History: A natural power of Tiankong, usually is affected by his mood. Description: Tiankong can unleash lightning from his mouth or his hand. It can be as simple as a single strike or it can be a large torrent. 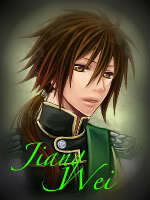 Description: Tiankong creates a sphere of air which surrounds him and blows away weak and non-piercing attacks. Description: Tiankong roars, which causes a massive shockwave that is strong enough to blow away buildings. Description: Tiankong unleashes a solar flare, which burns and melts most things in it's path. Description: Tiankong forms a ball of solar energy, creating a miniature sun within his mouth. He then unleashes it and causes massive damage. Description: Tiankong directly inhales everything that isn't bolted down or too big and then unleashes it in a massive tornado. Description: Tiankong compresses and manipulates the wind pressure, creating a ball of plasma, the ball can be released into several small beams, which cause high damage and force, or he can charge it and release it as a large beam, which causes massive destruction. 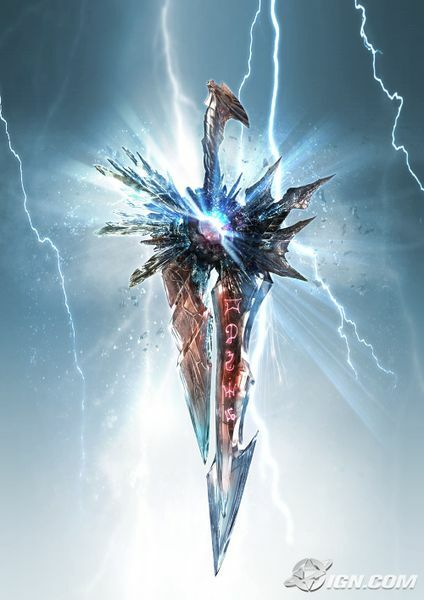 Secret Abilities: The blade creates Ice and Lava, unleashing them in blasts. 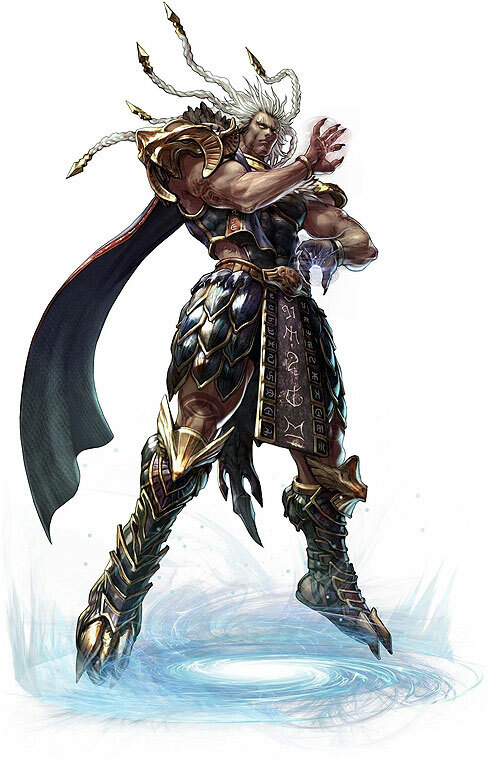 History: Tiankong lived in China long ago, he is of the Wyrm race, the precursors to dragons. He left the world long ago, tired of the wars, monsters, humans and other dragons as well, disappearing from the world. He heard news of the events on the fiends and the symbols. He was shocked to hear that both parties had suffered. He decided to return to the Earth and reclaim his place as Dragon King once again. He returned to Earth and heard that many of the others had died, the symbols and the dragons alike. He heard that they had reincarnated. He strives to have the young ones be able to defeat the fiends and find full balance within the world. You should move this once it's approved.